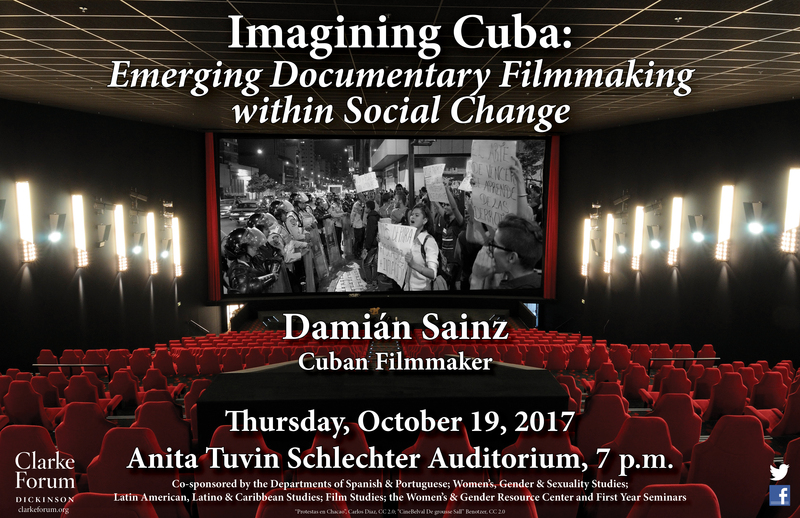 Sainz explores the struggles of the emerging generation of documentary filmmakers in contemporary Cuba. The event is sponsored by the Clarke Forum for Contemporary Issues and co-sponsored by the Departments of Spanish & Portuguese; Women’s, Gender & Sexuality Studies; Latin American, Latino & Caribbean Studies; Film Studies; the Women’s & Gender Resource Center; and First Year Seminars. 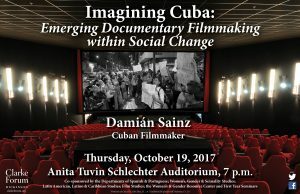 Damián Sainz graduated from the University of Arts, Havana, Cuba with a degree in media arts and from the EICTV (International Film and Television School of San Antonio de los Baños) with a degree in documentary direction. Sainz also studied at the Mel Oppenheim Film School in Montreal, Canada and at the Cinema Department at HEAD Genève, Switzerland. 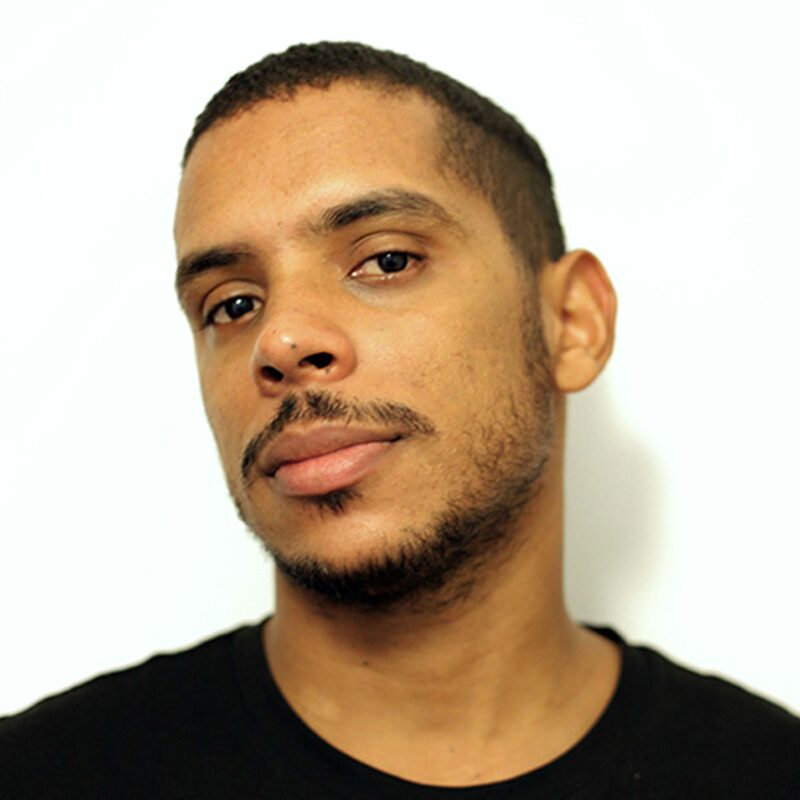 Sainz has worked as director, editor and producer in documentary films in Cuba, Canada, Switzerland and Spain and has collaborated with visual arts projects like Galeria Continua, Inventario at the Ludwig Foundation and online project Docuselfie. His short documentary films, focused on LGBTQ culture in the island and Cuban youth, have been selected and awarded in several international film festivals like Havana Film Festival, Fribourg in Switzerland, FICUNAM in Mexico, DocumentaMadrid in Spain and FICU in Uruguay. Sainz teaches documentary cinema at the EICTV in San Antonio de los Baños, The Ludwig Foundation in Cuba and at the Cinema Program of Altos de Chavón in Dominican Republic. He lives and works as an independent filmmaker in Havana, Cuba.